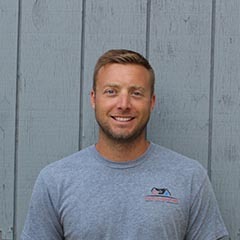 Cory Picklesimer is the Installation Manager at Indoor Comfort. He has worked for the company since 2002, and his hard work and dedication has paid off. He started as a full time maintenance technician learning about the company and equipment as he went. Since then he has become trained in everything from boiler piping to heat pump systems to generators. Over the years, Cory’s focus changed from service to install, which lead him to his current position of Install Manager. His unique ability to envision a job from start to finish is one of the things that makes Indoor a cut above the rest in quality. Cory takes great pride in his work and it shows in every one of his jobs. Along with Cory’s dedication to the company, he is a devoted father and partner. Living the life of a small town father Cory enjoys time with his family, going to concerts with friends, and spending time outdoors working on his house and hunting. 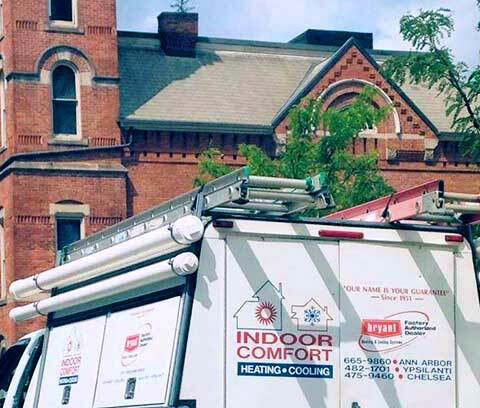 Cory is fully certified in installation and service for furnaces, boilers and condensers. Cory is a crucial part of the company’s success and will do everything in his power to serve our customers well.